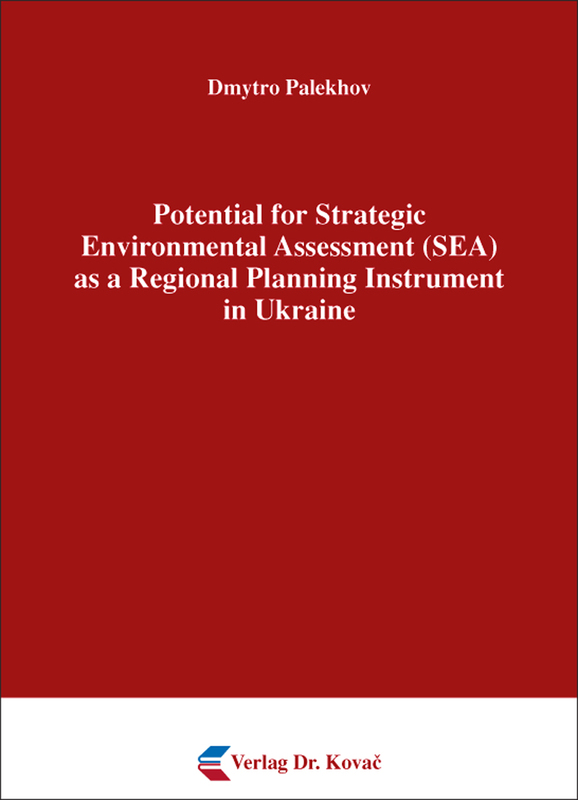 Potential for Strategic Environmental Assessment (SEA) as a Regional Planning Instrument in Ukraine. Dissertation von Dmytro Palekhov, Verlag Dr. Kovač 2014, 374 S.
Strategic Environmental Assessment (SEA) is a tool for integrating environmental concerns into policies, plans and programmes at the earlier stages of decision-making. It stimulates socio-economic development that causes minimal harm to the environment. Consequently, SEA is internationally recognised as one of the most important and direct methods for implementing the concept of sustainability. This study explores the potential of SEA as a regional planning instrument, while putting a special focus on the planning practice in Ukraine as a post-Soviet transitional country. Moreover, following a comparative analysis approach, this publication offers an extensive overview of SEA systems and legislation in the European Union and its selected member states, including Germany and the United Kingdom.